eFirst has won a prestigious Mobi award (Australian Mobile Awards) for the best Mobile Payments app for our Sydney Fiilm Festival 2011. eFirst joins the ranks of some of the best talent Australia has to offer in mobile development, and provides recognition that our app frameworks and development practices are in line with the best organisations nationwide. Melbourne Cabaret Festival iPhone application! Winter is a thriving time for festivals in Melbourne, and eFirst is proud to announce another collaboration with one of this city's growing events; the Melbourne Cabaret Festival! Get on board and have a look at the festival; it's sure to be one of the year's highlights! Sydney Film Festival up this morning for full program sales. Nice smooth launch and sales powering through. The 2011 BigPond Adelaide Film Festival has been a huge success with 30 sold out sessions and an overall increase in attendances of 22%, contributing to a 16% increase in box office revenue from 2009 (festival was last held in 2009). BAFF audience members also voted via SMS and online to vote the stunning new Australian film SNOWTOWN (Best Feature), the thrilling and poignant SENNA (Best Documentary) and the moving THE PALACE (Best Short) in the BigPond Audience Awards. Of the 48 Australian films that screened at 2011 BAFF, ten new Australian features from established and emerging filmmakers had their world premiere, amid the 150 films from 49 countries that screened throughout the festival’s duration. This year the Ride to Cure Diabetes raised over $1 million in critical funds for Australian research in type 1 diabetes, thanks to over 300 Riders, who spent the preceding months in creative and industrious fundraising activities as well as training for the spectacular cycle event. Most of the funds donated were processed through eFirst's fundraising and eCommerce system built specifically for JDRF. Hot off the heels of the release of the BAFF iPhone application, iTunes AU has listed the app in New and noteworthy under the entertainment section. See iTunes for more under iPhone > Entertainment > New & Noteworthy. 2011 will be a big year for eFirst, with discussions already underway with our festival clients for upcoming requirements. We look forward to continued growth in the eFirst team, with new opportunities and development on the horizon. 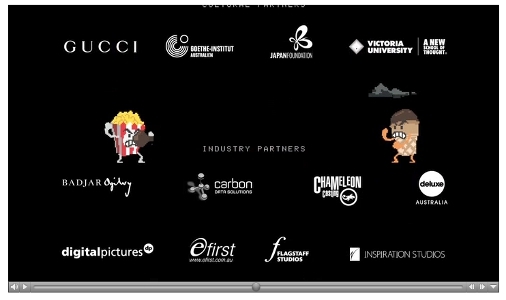 Image above: MIFF 2010 Sponsor Reel design by XYZ Studios. eFirst is a proud partner of the Melbourne International Film Festival. So far this year, eFirst have released 6 iPhone apps with another 2 already in pre-production, and due for submission to Apple before Christmas. 2010 is now officially the eFirst year of the App. In addition, we're looking at some new, and very exciting possibilities in iPhone land. Ssssh! Not just yet, but it is close. eFirst require the services of a Technical and Support Manager to complement our growing base of festival and event based clients. Download the Position Description here. Applications close 15 December 2010. Further queries can be emailed to: jobs@efirst.com.au. During the first week of availability the Midsumma iPhone app has been highlighted in local media, including MCV and Southern Star, as well as celebrated during the Midsumma launch party and most recent eNews mail out. Don't forget to sign up to the Midsumma News to hear all the latest goss. BigPond Adelaide Film Festival website launched! The BigPond Adelaide Film Festival 2011 website officially launched at 11am (Adelaide time) today. Browse highlights of the program and order passes and tickets to selected events before the rush begins. eFirst has worked with BAFF to provide new social media functionality across the site, including Share and Commenting features, to maximise participation and community within the festival and its passionate audience of film aficionados. eFirst is proud to supply the Midsumma11 iPhone application, our first festival for the new year! The Midsumma app, available from midnight this morning, provides an exclusive preview of the full Midsumma program before official release on 1 December. The Bigpond Adelaide Film Festival has confirmed a partnership with eFirst for 2011. eFirst will be providing website and ticketing services, as well as introducing an iPhone application for the first time. The new BAFF website will launch on 30 November. eFirst are proud to announce a new online website and payment processing system for Surf Life Saving Lotteries, hosted by eFirst. eFirst has combined with Surf Life Saving Lotteries to successfully deliver an electronic ticketing and content management system which has helped promote them to become the 5th largest lottery in Queensland. eFirst will continue to work with SLSL to pioneer new and exciting ways of purchasing lottery tickets for future growth. The Melbourne Fringe Festival and eFirst continued to develop their relationship in 2010, finding ways to innovate and develop a ticketing service unique to the Fringe experience. eFirst is delighted to work with Melbourne Fringe to bring independent artists from across the state, country and the world to stages in Melbourne. The Melbourne Writers Festival has experienced another successful year in both program and attendance, continuing to break box office records. This year represents eFirst’s third year providing ticketing services to MWF. The usability of the eTix system continues to soar, with 80% of tickets sold through the festival website. The Brisbane International Film Festival is set to kick off with a bang after an 18 months hiatus, with eFirst along for the ride supplying the website, ticketing system and iPhone application. eFirst looks forward to its continuing relationship with Festival Director, Richard Moore, and to our new partnership with Screen Queensland. Melbourne Film Festival wraps up with yet another box office record... with 6 consecutive box office increases over the last 6 years eFirst is very proud to continue to be associated with MIFF - we love clients getting good leverage from our technology! Melbourne Writers Festival underway today with unprecedented demand for Joss Whedon tickets - selling out almost the entire Melbourne Town Hall in less than a day. Melbourne Film Festival now live with full program - always a solid day of sales, this years MIFF is going as strong as ever! 3 more iPhone apps in development; Melbourne International Film Festival, Melbourne Writers Festival and Melbourne Fringe Festival all to use eFirst iPhone framework for ticketing and festival information. By using the app, patrons of each festival will have instant, up to the minute access to ticketing, information and purchased tickets stored on the phone. The app framework has been improved, based on our successful work with the Sydney Film Festival - we now support iTouch and other apple devices with wifi (eg iPad). You can buy tickets in wifi range, and load those tickets at the cinema door for scanning with no wifi or 3G connection enabled. Opening Night at Sydney Film Festival an outstanding success - scanning of 2000+ iPhone and printed tickets for the sellout Opening Night session South Solitary goes off without a hitch. Let the festival roll! SFF Launched - All systems go! Sydney Film Festival went live at 9am - with bookings storming in. iPhone use running at about 16-20% of total web traffic. Our new iPhone app for Sydney Film Festival was recently approved by Apple, and will now be available from 5 May from App store and iTunes. Stay tuned for the feature set! iPhone application for Sydney Film Festival is almost complete, and will be available in time for the launch of the Sydney Film Festival (2-14 June 2010). Previews of the app to target users have been met enthusiastically; a range of features not seen in other apps will assist in a rapid uptake of the technology by festival patrons. The app will be available free from Apple's App Store in mid-late May. eFirst new corporate office fitout has been completed by A1Officefitouts. We look forward to completing the move to the groovy, new environment. eFirst has won a website and ticketing services contract with the Sydney Film Festival (SFF:2-14 Jun 2010). SFF were impressed with our many features including scanning access control, integrated POS and the upcoming development of iPhone and mobile applications. Key in their selection criteria were our ability to deliver scalable and managed festival ticketing services. SFF join our growing ticketing portfolio which includes other leading festivals including Melbourne Film Festival, Melbourne Fringe Festival and Melbourne Writers Festival. eFirst to supply centralised eCommerce system to The University of Melbourne - 05 Jan 2010 eFirst has released details of a new centralised eCommerce system for the University of Melbourne due for release in Q2 of this year. The system will allow most faculties and departments within the university to sell goods and services to students and the wider public. eFirst has also integrated the eCommerce system with TechnologyOne (ASX:TNE) - the supplier of student services systems for many leading educational institutions. The University of Melbourne joins our other large institutional client Monash University. As part of our continual upgrading of infrastructure, eFirst recently moved into virtualised service provision with VMWare. By utilising VMWare technologies we are able to run more flexible service delivery for clients, including scaling up and down systems to meet demand - particularly important for our ticketing and other short run services. Total available bandwidth now exceeds 1000 Gb - more than enough for the most demanding clients. eFirst is pleased to announce ticketing and POS services for Barbie's 50th anniversary exhibition in Melbourne. Includes print at home ticketing, scanning tickets at entry door, and POS services for merchandising. eFirst announces ticketing contract with Woodend Winter Arts Festival. Includes allocated seating and print at home ticketing.